Let’s get dressed for Valentines! With Valentine’s Day around corner I thought it would be appropriate to give a little outfit inspiration for the big day. I am a sucker for romance so Valentine’s Day is one of my favorite holidays. Even when I was single I just enjoyed the idea of celebrating Love, after all Love is really the only thing we have to live for. I have been with my husband for a little over two years and have really enjoyed our journy of falling in love, the after math of marriage has made love even more enjoyable. I love the challenge of finding new ways to express my love and cannot wait for the chapter in our lives when we get to express our love to our little critters, and when I say critters I mean children 🙂 Anyways sorry for the ooey gooey but it’s the month of love I couldn’t resist! 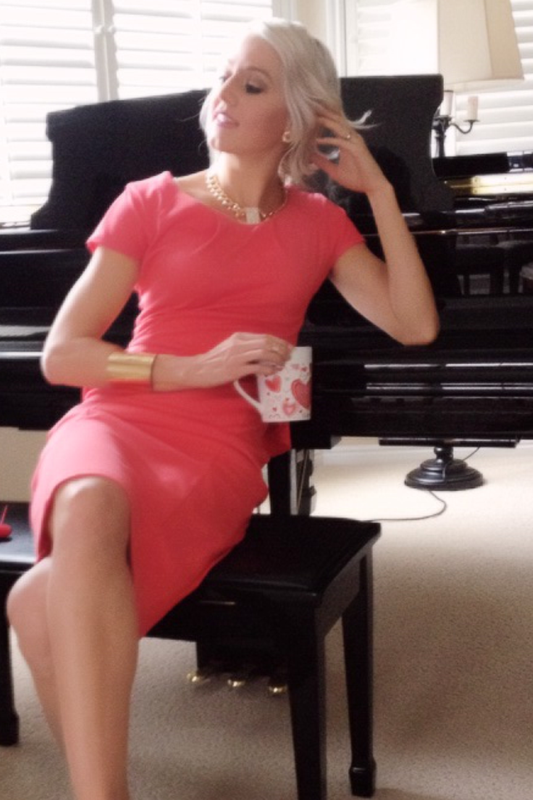 I love feeling extra girlie on Valentine’s day so a pink dress seemed perfect! I don’t like to over do it and be to glamours so this simple chic dress really stuck out to me and to add that feminine peplum touch was just the cherry on top! I hope you all have a romantic evening whether it be with friends, family, or your loved one be sure to have love in your heart and pass it along to all who come in contact with you. Romantic Mermaid Hair wave tutorial. Valentine’s hair maybe? Thank you I’m glad you like it. Haha I’m to hear that!